Is Bigfoot Real or Fake? 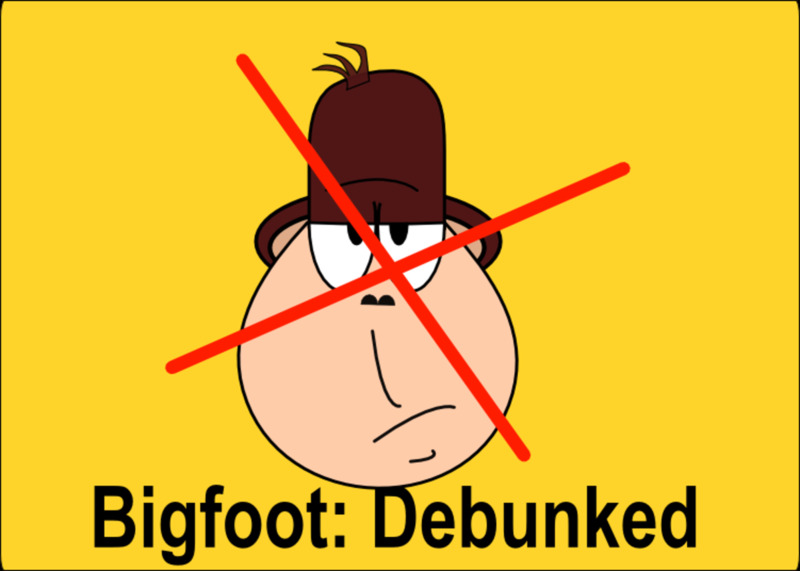 This article is intended to debunk the Bigfoot myth and show proof that Bigfoot is fake. There is a lot of debate over whether this creature is real or not, and here you'll read about compelling evidence that shows we've all been duped. Of course those who consider themselves to have a highly rational mind don't need to be told any of this. 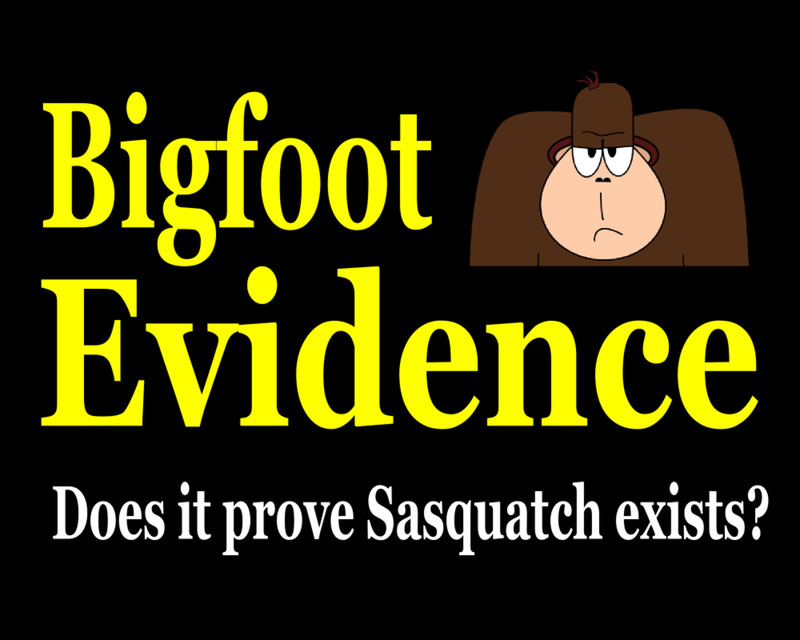 Without solid proof and evidence that shows the existence of Sasquatch no scientifically minded person would admit to a belief in the Big Guy. But deep inside I think we all like to believe there are still mysteries in this world, hidden from our view and awaiting discovery. Perhaps this is where myths like this take root, not in logic but in hope. Some of my more regular readers may be thinking, "What the heck is going on here? Has Cryptid lost it?" After all, most of my posts are intended to cultivate the things insides us that give us reason to believe the fantastic is possible, and the unlikely is more likely than we think. I have written a great deal on facts that show Bigfoot is real. But I also profess an open mind about such things, and therefore must, on occasion, take a hard look at the other side of the coin. So here it is, the other side of the coin. Bigfoot debunked. The most common theory about Bigfoot is that he is some kind of undiscovered species of primate, ape-like but more intelligent and more evolved than any we currently know of. 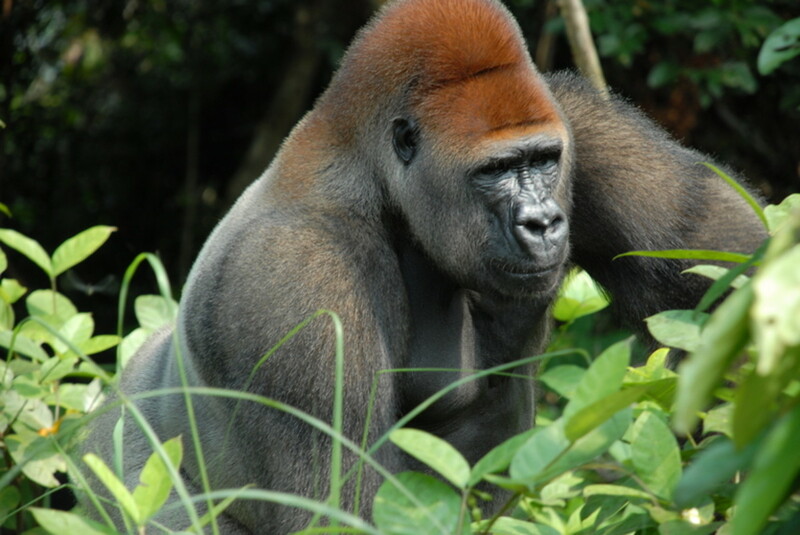 Some researchers refer to it as the North American Great Ape, though the species is, of course, theoretical. But there is a problem with this idea. There are no other apes in the Americas, and no evidence that apes ever existed in the Americas. There are monkeys in South America, but they are very different from old-world monkeys, and have about 40-million years of evolution separating them. There is no evidence that indigenous apes or monkeys ever existed in North America. However, there is a concept called Bigfoot-Giganto Theory that explains how the creature evolved from an ancient ancestor in Asia and migrated to America. But even if this is true, where is the evidence? No fossils or bones have ever been found. Logic and the lack of available evidence suggest this is not a North American Ape. It's equally illogical to assume it is some kind of human species. Neanderthal was the last human species on Earth, besides us of course, and the description does not match what we know about Neanderthal. The main issue with linking Bigfoot to any human species is one of intelligence. Even a very primitive human species would be using tools and weapons, building fires, constructing shelters, and leaving other evidence behind for us to find. In short, if something like Neanderthal was still out there, or any other species of primitive human, we would know it. Anthropologists will tell you there is anecdotal evidence of Bigfoot among the tribes of North America. Many Native American cultures have a long oral tradition that includes tales of large, hairy, human-like creatures lurking in the forest. To some researchers this is proof enough that the creature has been here at least as long as humans. But anthropologists (at least the ones interested in keeping their teaching tenures and grant money) will tell you something else: Many Native American stories are a mix of the real, the spiritual, and good, old-fashioned yarn spinning. Remember, these are cultures that kept their history by oral storytelling, not by writing it down in books. In some cases this oral tradition may have spanned thousands of years, and included stories of animals that didn't exist anymore, or existed in some part of the world where their ancestors had migrated from. These were also people who needed to make sense of a confusing and sometimes terrifying natural world. Religious beliefs and spiritual explanations for things they couldn't understand played a big part. Some other Native American myths include lake monsters, shape-shifters, fairy-like creatures, and horned serpents. Is it all real? Or is it more logical to say Bigfoot is one facet of a very rich and complicated spiritual belief system and oral tradition? Of course Native Americans didn't call it Bigfoot. That name didn't come around until 1958 when logging company employees discovered massive footprints at a worksite near Bluff Creek, California. Obviously some huge, bipedal creature had been tromping around during the night! The newspaper got hold of the story, invented the name, and the rest is history. But some people don't realize that the first-ever Bigfoot story may also have been the first-ever hoax. The logging company site where the tracks appeared was owned by a man named Ray Wallace. 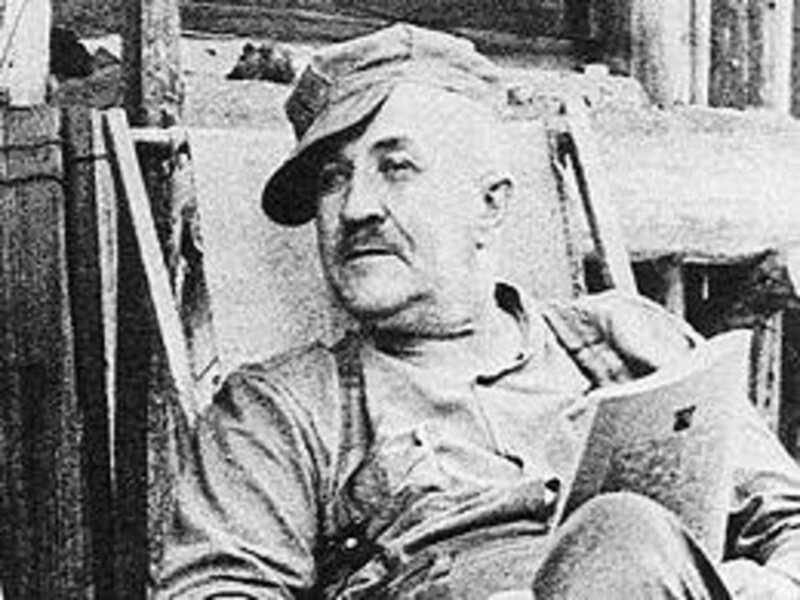 Following the discovery of the tracks, Wallace went on to become an amateur researcher and somewhat of an oddball celebrity in the cryptozoology community. However, following his death in 2002, his own family revealed that he had hoaxed the prints using a pair of big, wooden feet. Not only that, but Wallace left other fake evidence for Bigfoot researchers to stumble over. It seems Ray Wallace was quite a prankster, and his joke reverberates to this day. Many serious researchers will tell you they didn't take Wallace seriously anyway, and his shenanigans did nothing to impact the real work done on the Sasquatch phenomenon. Still, the Wallace story doesn't help Bigfoot's credibility in the eyes of the general public. One of the problems with the Wallace tale is the way the public tends to generalize. When they hear some guy was out there faking evidence all of these years, they assume he is responsible for all of the interesting evidence collected over the years. That's it: Bigfoot debunked. Logically, that just isn't possible. Bigfoot footprints have been found all around the continent, many long after the years Wallace was active. Often they are in places where it doesn't make sense for a prankster to venture, or expect anyone to find their work if they did. So, if all prints can't be attributed to hoaxers, what explains them? Bear and other wild animal tracks. 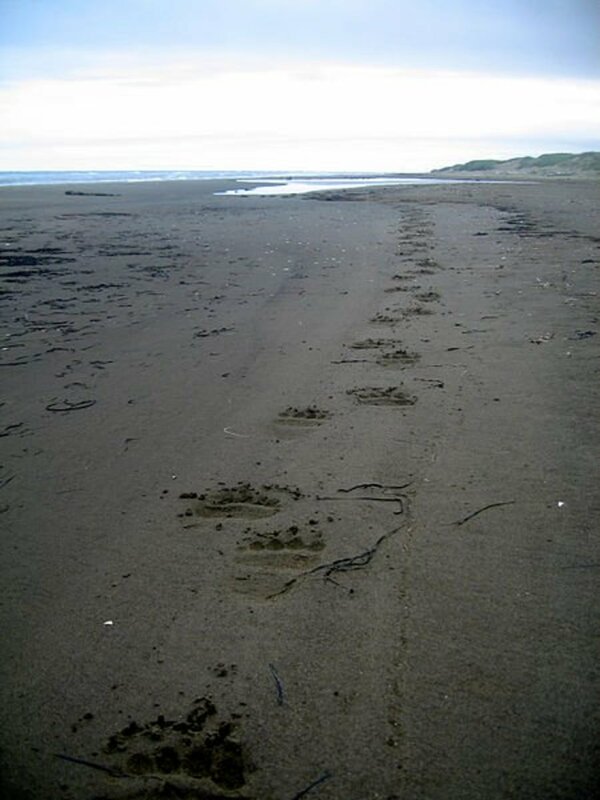 Surely even those who haven't seen a bear track can tell the difference between bear and human-like footprints. But when a bear steps in its own footprint just right it creates what appears to be an elongated human foot. Add in degradation brought on by the elements and it's easy to see how animals like bears could be making tracks that look like huge, human footprints. Bigfoot researchers say they know the difference, but how would they know if they were wrong? Bigfoot pictures suffer from the same issues as video. Why can't the guy stand still for a proper photo at least? There are plenty of supposed images floating around the web, notably the Jacobs Photos from Pennsylvania (which skeptics say is a black bear), the Silver Star Mountain pics (which skeptics say is another hiker) and a picture of what looks like a mangy Bigfoot shot by a Vermont trail-cam. What do they call have in common? You guessed it: None show a clear image of the subject in question, but instead show it in shadow or contorted positions. However, there is one somewhat clear image of an alleged Bigfoot, shot by an unknown photographer circa the year 2000 in the Myakka River region of Florida. 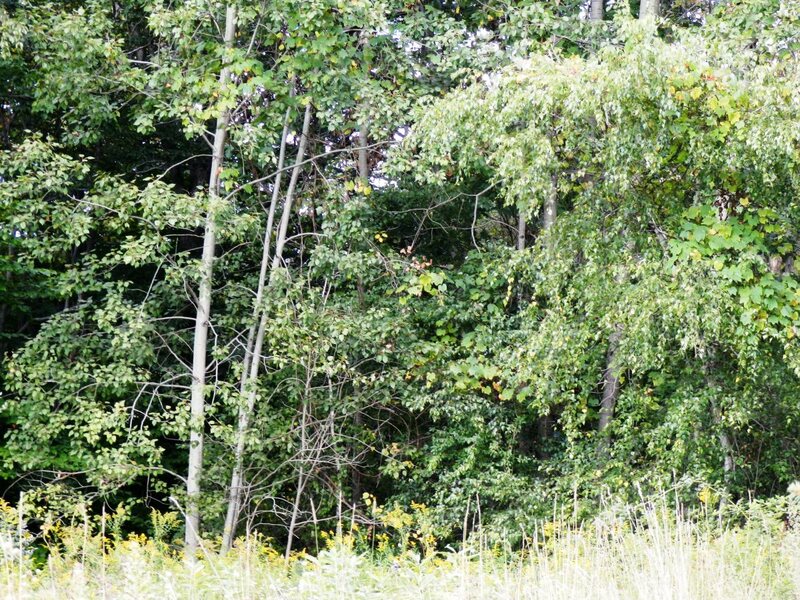 Sure it's hiding behind a bush, but it looks like something that could be Bigfoot. Skeptics cite an escaped orangutan and an outright hoax as possible explanations. 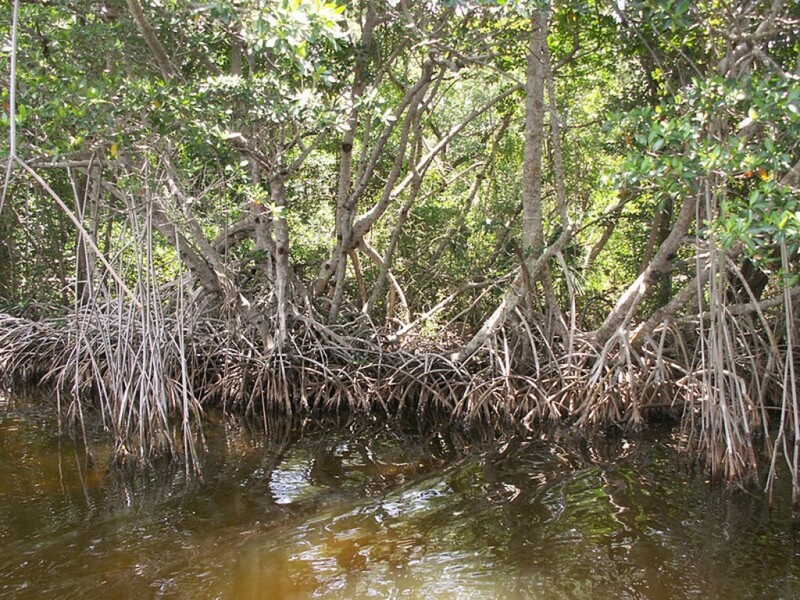 The Myakka Skunk Ape photo is definitely interesting, but I don't think it counts as proof that the creature exists. Again, such things are just too easily faked. Video evidence is among the most disputed evidence out there. On the surface, one would think clear video evidence showing Bigfoot in the wild would be bulletproof, and the critics would have to admit it is real once and for all. Of course that never happens. Video is always grainy, out of focus, or shot in such an obscure way that the subject is hard to recognize. Was that Bigfoot running across the field, or a guy in an ape suit? Unless we can clearly tell what we're looking at, video evidence amounts to pretty much zero. In some cases video is hoaxed, such as with the famous Snow Walker Video. Now, in the age of YouTube, it's all too easy for anyone to fake sensational sighting and post it for the world to see. The Patterson-Gimlin film, shot all the way back in 1967 using 16mm film, remains the most compelling piece of video evidence to date. But even this historic clip has its doubters. Several people have come forward over the years claiming the film is a hoax, including (allegedly) the guy in the ape suit and the company that made the costume. It's also worth noting that the video was shot along Bluff Creek, the same Bluff Creek associated with Bigfoot hoaxer Ray Wallace. To date, nobody has been able to prove or refute the Patterson-Gimlin Film, and it remains a curious part of Sasquatch lore. 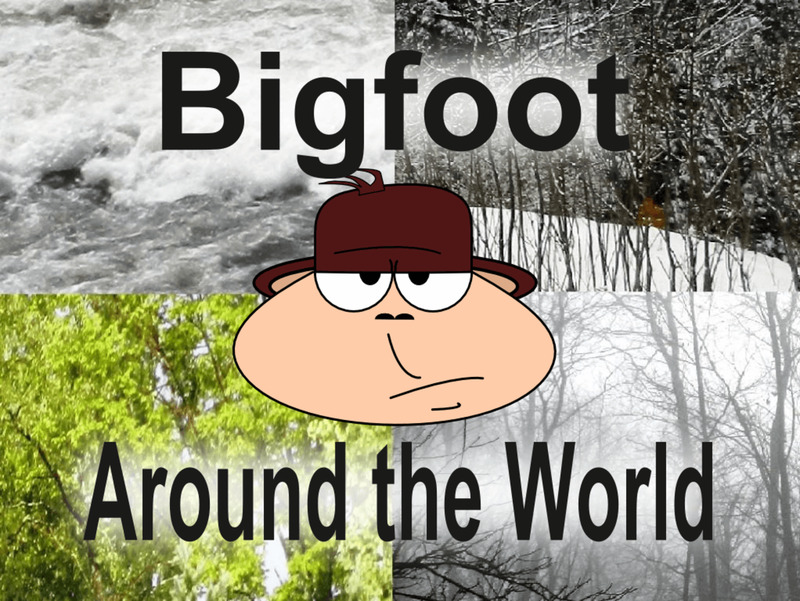 Bigfoot is spotted around the world. From Florida, to Alaska, and on over to Asia, people see large, hairy, bipedal creatures that they can't explain. Australia has the Yowie, a Bigfoot-type beasty with roots dating all the way back to when the first humans arrived on the continent. Even South America has a Bigfoot kind of thing. The Mapinguari is more often thought of as an extant giant ground sloth, but some claim it resembles a large, bipedal ape. If Bigfoot is fake then it stands to reason that whatever all of these people think they are seeing, they must be wrong. Maybe they are victims of hoaxes, or perhaps they mistake known animals for something else. Maybe they are hallucinating, or so scared for some other reason that their mind is playing tricks on them. To me, this is the toughest part of the phenomenon to debunk. Certainly some sightings are hoaxes or lies, some are mistaken identity and some are tricks of the mind. But to say all of them can be written off as such seems almost as unlikely as the existence of Bigfoot. So which makes more sense: Bigfoot really existing, or the thousands of people who claim to have seen him have gone screwy? Are they all wrong, confused, or deceitful? I know if I saw Bigfoot I probably wouldn't tell anyone. Not because I'd be afraid of ridicule, but because it would infuriate me to try to explain myself to people who would just assume I was stupid or lying. I'd keep the encounter to myself. Is Bigfoot a fake? I have no idea. I like to think there is a real creature out there accounting for the sightings, the photos, the footprints, and the howls in the night. I like to think there are still things about this world we don't know. Truthfully, my attempt to debunk only resulted in more theories and questions floating around in my mind. I know it isn't logical that a large, human-like creature would escape detection for so long, and avoid capture or at least clear documentation. But I prefer to be on the side of hope rather than exclusion. What about you? Do you feel more comfortable dismissing Bigfoot as fake from a logical standpoint? Or, would you rather live in a world where it's possible a creature like Bigfoot could be real? 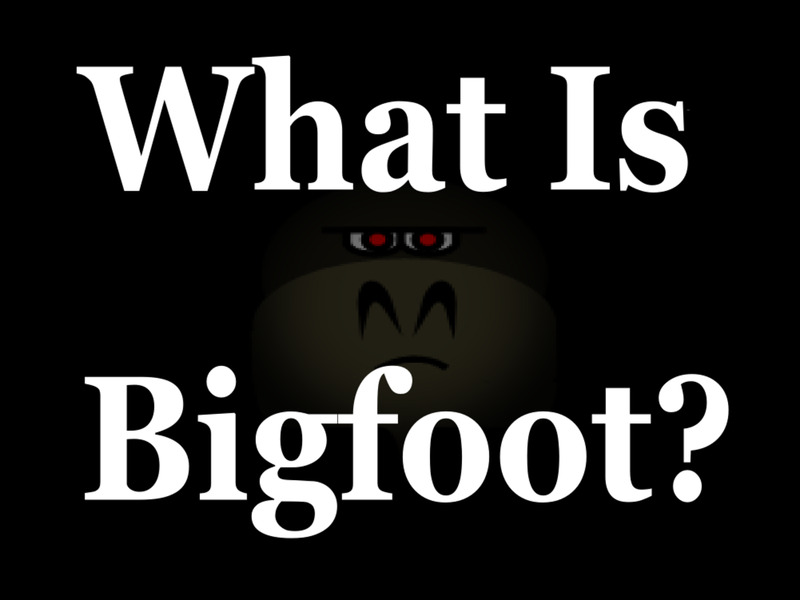 Does Bigfoot really exist or is it all a big hoax? Bigfoot is real, so shut up with all this debunking stuff. Bigfoot might be real, but there isn't enough proof to say for sure. Bigfoot probably doesn't exist, but I wish he did. Bummer. Bigfoot is a big, fat fake and does not exist. @Jack - I feel like you missed the point of this article. While I do find value in the arguments against Bigfoot's existence, the point here was to suggest counter-arguments to that debunking along with those ideas. As for the comment you quoted, it was more of a jab at the people looking down at their nose at Bigfoot believers. existence. Not so for Big Foot. In short, your "debunking"
back--people like you aren't all that intelligent. I was informed by a professional tracker that nobody he knows believes Bigfoot is real. A hominid the size of Bigfoot would play havoc with the food chain. And with their huge size, it would be quite difficult for them to continuously stay hidden year after year. And why would they want to and keep taking strong measures to keep themselves hidden and reclusive from us? How could they continuously remain hidden for so long? Im a member of a group of folks that share a collective consious for the well being of our commonality. we have a saying which is more of a statement that says "contempt prior to investigation" For all you naysayers apply this to your own perceptions about things and get back to me. Hows that workin out for ya? Show me one body and I'll believe it....otherwise, it's a sham job. I thought it was impossible for a hominid that size to exist in N America... but I took 3 weeks to look and find. Its real that's for sure. If you have any doubt, you can do it the hard way like I did and search the rugged mountains for sign. Or the easy way and attend a small town meeting in Northern California, Oregon, Wash, etc. in areas of high sightings and just stand up and ask if anybody has seen one or if they have a trusted friend/ family member who has. Better yet, hand out an anonymous questionnaire. "It's equally illogical to assume it is some kind of human species. Neanderthal was the last human species on Earth, besides us of course, and the description does not match what we know about Neanderthal." You seem to forget about the "discovery" in March 2010 of a finger bone and subsequent teeth and foot bones with DNA extraction in Nov 2015 of a "new" human now called Homo Ssp. Denisova in a cave in SW Siberia. As with Neanderthals, many people carry genes now connected with this new "species" of Homo Sapiens. Based on genetic evidence Melanesians, Aboriginal Australians and people originating in SE Asia carry small percentages of this "new" DNA, same as many of European decent carry a small percentage of Neanderthal DNA. Apparently, according to DNA evidence, Homo Sapiens (us), Neanderthals and Devisonians all interbred with Devisonians being a "sister" species of Neanderthal. The divergence from Homo Ssp (us), Neanderthals and Devisonians is estimated to be 1 million years ago, with complete divergence between Homo Ssp and Devisonians being 600,000 years ago and between Neanderthal and Devisonians being 400,000 years ago but interbreeding took place between all "species" until the "disappearance" of Neanderthals and Devisonians estimated max 30,000 years ago. Also there is an unknown Homo ancestor mixed with the Devisonian DNA so there is more of "our" family tree to be discovered. We can never assume we know all of the human lineage, that is illogical. Neither can we assume we will ever know it all. Fossils are actually a rarity and there is no way of knowing how many "links" there are in the chain until we have the ability to go that far back in time. As to the possibility of a "bigfoot" type creature existing - it would be illogical to assume there isn't or hasn't ever been. If it is and is intelligent enough to know to stay hidden, it wouldn't be that hard to do and probably our intrusion into areas previously unexplored or populated could account for the increased sightings all over the world. Or it could be oral tradition has outlived whatever they were. People populated Australia approx. 40,000+ years ago and probably the Americas around the same time. There is no way of knowing what was here, if anything, before that or what followed. The absence of evidence does not mean the absence of existence. I remain hopeful but doubtful remains, fossil or otherwise, will be found and the matter can be put to rest once and for all. In the depths of the remotest areas of the world is all that is necessary for large hominid survival - food, water and shelter without being detected especially if it doesn't want to be found. There are still tribes in S. America that have never been contacted because they don't want to be and kill anyone they see. There are still large animals being discovered in different parts of the world. A large deer discovered in VietNam after the war - no one reported seeing it during the war even with all the people crawling throughout the country. 2 new species of chimp, another different gorilla species - all reported within the last 8 years, previously unknown to "science". Someone knew about them. Unknown to "science" doesn't mean non-existence either. The operative word is unknown. Ironic that thousands and thousands of sightings by hunters and none have put a bullet through one. Coincidence? I think not. How come every friken video has a super bad quality? Its just a friend, relative or someone. or if there is good quality they shake the phone to make it blury. this was a good artical, but the one video you had, the campers had poor quality, which helps prove my point. it could be a bear or maybe a gorilla. there is no Bigfoot. I'm here in Mount Shasta CA. The root Chakra of Planet Earth and as I was finished harvesting Pine SAP I was kinda running back to camp and my foot landed in Sasquatch's footprint, I'm going to plaster it. And Yes Bigfoot and Sasquatch is real, what isn't real is this illusion! How ignorant to think bigfoot is not a true species. Granted there are phonies who enjoy the games.I can truly say first hand being in the Armed forces and in the mountains of Kentucky seeing slong with several others beings of incredible size ,and speed no man could match. The Gov I was told had seversl reasons to keep this a secret. Just think for this slone. 1,000s of jobs lost ,protected wilderness .no more camping potential dangers, limited logging, and the list goes on . Dr. Melbs Ketchum hax congirmed multiple indipendsnt DNA ssmples, No Known primate- s Hybrid Cross mutation . You will hesr more sbout this within the next 2 years. Hey billyjohn, couple years ago a group of macho guys set up camp where known BF activity was going on near here. They were out to get 'em some BF trophy's in other words. What they didn't count on was how smart and masters of camouflage these beings are. While the good 'ol boys were way up n the mts. the BF, circled back and tore their campsite to shreds including twisting their SUVs into scrap. Killed their dogs too. It's always recommended folks come in peace to see and/or hear them at this spot. Hi Billy John. I live in the country too. I have no doubt there are a few bone-headed hunters who wouldn't hesitate to take a pot shot at something weird in the woods. However, I think the vast majority wouldn't, for the simple reason that they wouldn't want to shoot something that could potentially be a human person. Most hunters are well aware of the consequences of making a mistake and make very sure of what they are shooting before they pull the trigger. Something that looks like bigfoot just looks too much like a person. 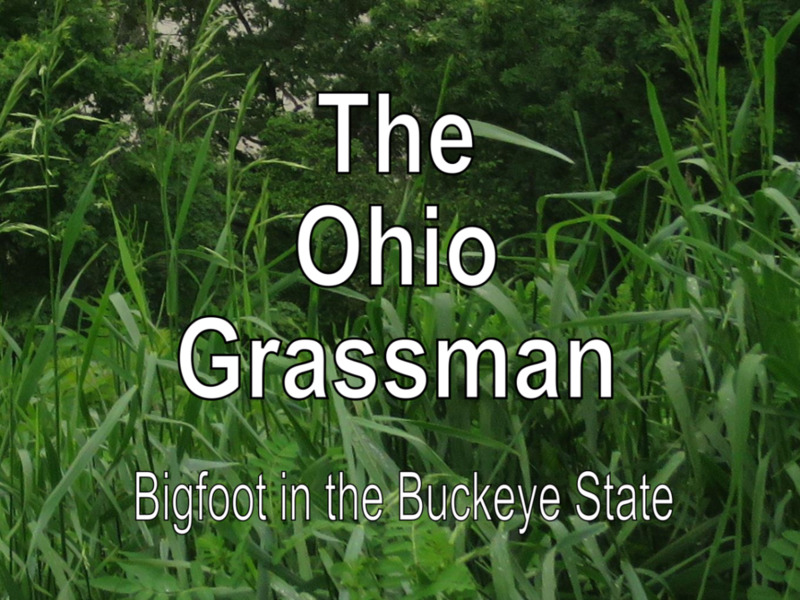 There are tales of hunters shooting bigfoot, but none backed up by solid evidence. listen folks,i live in the country. lots of hunters and most of the good ol boys who ever saw one wwould shoot it. uf a hunter would shoot cecil the lion a bigfoot would just be to much of a rush. if theyre woere bigfoots one would get shot. From what I've seen the Patterson-Grimlin film of 1967 has pretty much through modern tech been revealed as no man in a monkey suit. How could untold folks have sightings and encounters for so long that they can't all be mis-identifications, hoaxs, etc etc. It makes no reason. Perhaps, we should get away from the materialsist box and ponder outside it some? People do lie. I've met white liars and pathological liars.I'm sure there are enough in any given state to account for the numerous witness accounts. Most people have to train their character to develop into completely honest adults who would never embellish or fib or deceive.Many people never reach that point of character development.Consider the pentagon or any public official of high office and you can see the scale of people who lie every day.I've never heard a true statement from he US military and they make public statements daily but they profess to be persons of character. so they deceive to cover their lies to start a new day and lie some more.Bigfoot would be a small lie for people like this. A correction, the overwhelming majority of bigfoot researchers view BF as a species of man, not some kind of North American ape. The article didn't touch on Dr. Ketchum's work in which they have sequenced the entire genome and found it is mostly human with some unknown, showing an unknown species of man has interbred with humans at some point. The article dismisses things too quickly and one sidedly. Like how it casually brushes aside Native American witnesses. 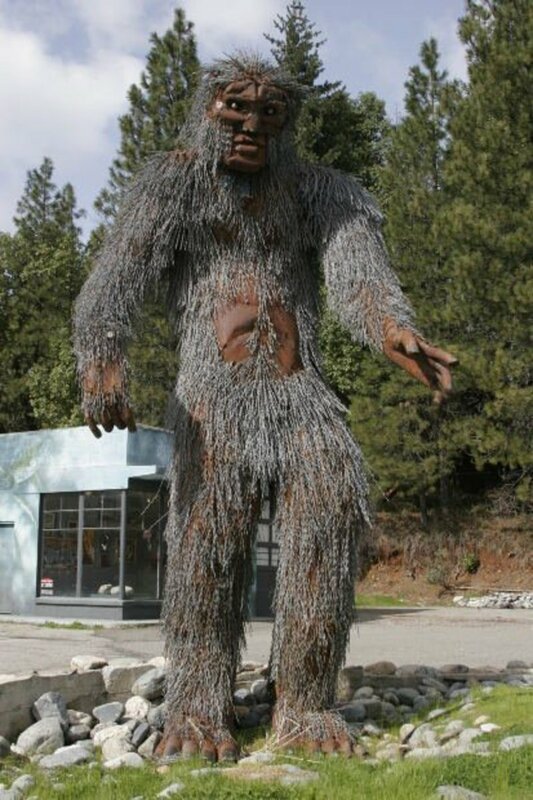 Virtually all North American Indian tribes have lore essentially describing the same unusually tall hairy men, and they have over 60 different names for the creature. But the article casually calls it fantasy. More to the point, I've seen it, and I don't need any other proof. Now when it comes to God, I believe He exists. No trouble. Polar bears and UFO's, sure. But Bigfoot? Oh, I saw two programs tonight on the American Destination Channel: Les Stroud, survival expert going with a tour guide who filmed Bigfoot in the place where they were camping and it did look so real, but Stroud was not about to say yes until he had experienced one. And as for that genre, I do not look to "experience" one. Kenneth: IMO Bigfoot and UFOs can fit into God's universe as easily as polar bears and gorillas. Though I agree that, without ever seeing either in person, it is easier to believe in polar bears than UFOs! You told Dennis some very good points. And now on Oct. 19, I am beginning to see your side of the Bigfoot and UFO thing. But as I DO and Always will believe in God, the other two things WILL have to show me some tangible proof. Interesting points Dennis. Not sure if you are asking what I believe rhetorically or not. I believe there is evidence to suggest both Bigfoot and God exist. :-) I also find the idea that Bigfoot is some sort of spirit being intriguing, and like you say that would account for why it has never been captured. As time has passed within Bigfoot lore, the creature has been tied to the UFO phenomenon. Although Indian legend makes a connection as well to star people. Questions have been asked lately as to whether Bigfoot is paranormal or not. If you are a person who believes in God, then you believe in the paranormal. Reports of Bigfoot, along with UFOs appearing from other dimensions also abound. Several reports of Bigfoot vanishing in front of people are also on record. If connected to the paranormal then one may never be captured or killed! Some say the paranormal is a lot of bunk as well, but as I stated above, to believe in a God you must also admit to the paranormal! Which do you believe? Good question angelica! Some evidence suggests Bigfoot is closer to humans, while other evidence seems to indicate he may be an undiscovered species of ape. We just don't know! was big foot a human. This is Aug. 29, and I have been busy researching materials for future hubs. Have you received anymore response from your sources on Bigfoot being a fake? I am very interested in what you find out. Good point, cryptocryptid. In fact, I often bring up the case of Giganto when people argue that there should be Bigfoot fossils somewhere. Interesting. I guess it is good to look on the other side of the coin every once in a while. But there is one thing, - you say that because there isn't fossils, we don't have proof of bigfoot. Well, the creature most think is responsible for Sasquatch sightings-gigantopithecus- did no leave behind many fossils. If you amassed all the fossils we've currently found, they would all fit in the average briefcase. cryptid . . .you are very welcome and thanks for c hecking my works. You are the type of writer I need in my following. Thanks for your kind words, Kenneth! I'll be checking out your Hub. Please check out my hub: "My Feelings on Whether or not Bigfoot Exists," it is not as involved as this one, but we are on the same page. @Michael: That's an interesting story! I suspect there are many such stories out there, which have mostly gone undocumented. This is going to sound very unscientific and some people will call me stupid (among other things), but I'm going to tell you something. Why do I still believe Bigfoot exists even though a body or fossils have never been found? If the professional scientists can look at a tooth, part of a jawbone, and a small piece of a skull and, from that, create the skeleton, sketches, and life story of a hominid and insist the thing really existed as they have it outlined and throw it into the mix and state as a certainty where it belongs along evolutionary lines, I'll base my belief in Bigfoot on the footprints, some of the videos/pictures, and eyewitness testimony from credible witnesses. Sasquatch Genome Project - plenty on the net about it, yes. If this were any other undiscovered species there would be little or no doubt about it, but, being BF, your right. There may never be a definitive answer. An interesting finding, besides the three top pieces of DNA evidence, was that the BF are using the abandoned railways and some waterways for movement. Are you referring to the DNA study by the Ketchum team? I don't know what to think of that. The revelation there is that Bigfoot is some kind of hybrid of human and some other unknown hominid. To me, that seems to raise a lot more questions than it answers, including questions about the project itself. What think you of the 2013 announcement by the top researchers and scientists in the largest group investigating BF of their long and meticulous study of the three top unrelated pieces of evidence? Rather startling to say the least. The logical part of my brain leans that way too. No, there is no evidence that there have ever been apes or any other human ancestors in North America. No bones or fossils. There are monkeys in South America, but there is a fair evolutionary gap between them and Old World monkeys. Some people will say that doesn't mean anything - just because we haven't found something in the fossil record yet doesn't mean it isn't there. But is is disconcerting for those who want to believe in Bigfoot. I would really love Bigfoot to be real, but logic sadly tells me that if there really was such a big creature out there in any numbers we would have found skeletal remains by now or other hard evidence. Also are there any other large apes in the fossil record in North America? I thought humans were the first and last primates to have arrived? Thanks Sheila and MJ! The mysteries of the world sure do keep things interesting! This was excellent, Cryptid. You began with a great premise of looking at the "other" side of the Bigfoot question, and you brought it all together with such an excellent conclusion and a sentiment that I share -- that sure, Bigfoot might not be out there in the woods somewhere, but wouldn't the world be that much diminished if he isn't? I'd love to think that the hairy ol' guy is leaving tracks in some remote corner of the world right this minute ... I like to occupy a world of mystery and hidden things, myself. It's always good to look at both sides of the story when trying to decide (at least in your mind) whether or not something is real. Is Bigfoot real? Heck, I don't know. I think they are, but I can't prove it. I'll hold onto to that until someone proves beyond a reasonable doubt they don't. As one of my characters in my book will say, "I don't know what we saw and I don't care. We need some harmless mysteries in this life to keep things interesting." Well, it'll be something like that anyway.